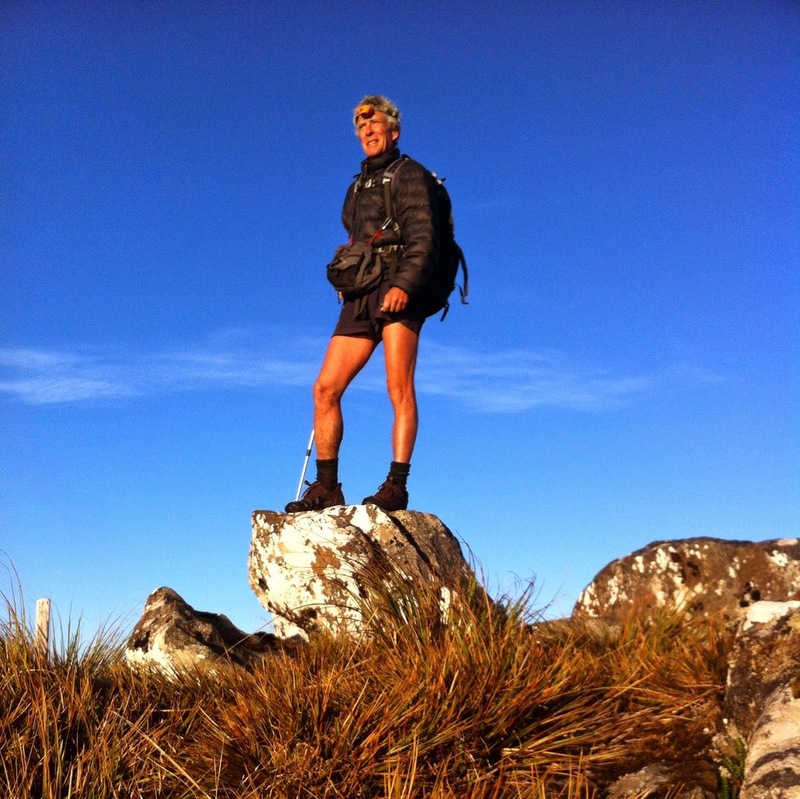 A blog about walking down the length of New Zealand in 2013 and 2014. Spending just a few hours in nature's therapy room helps me see the world with fresh eyes. It's not just that the colours in nature are so harmonious or that the process of putting one foot in front of the other allows the mind and body to work in synchronicity. I put the change in perspective down to the brain rewiring itself. How we think filters our experience of reality. For example, severely depressed people report that they see in shades of grey. The brain has literally filtered out vibrant colours. But if a brain can do that, then it can rewire itself to bring colours back into life. There is no better place to do that than in nature. And there is no better activity to encourage the process than walking in nature, with other people. Who would have thought cows know so much? On Wednesday morning, Rosa and I watched a herd of about 20 adult and yearling cows cross the stream between one pasture and another. Judging by the volume of mooing, it sounded like an ordeal, especially for the younger ones. "Why do they bother? Is the grass greener over there?" Rosa asked. "God knows. Cows aren't that bright," I replied. That night, the tail end of a cyclone whacked New Zealand harder than expected. Through sweeping curtains of rain the next morning, we watched the normally placid stream outside our house rise and swirl. At about 11.00 AM it burst its banks and flooded the field the cows had left the day before. The water also trapped us in our house for the next 24 hours. Not until the storm passed, the floods subsided and the cows gathered to look wistfully at the pasture they had vacated two days before did we understand. "Those cows knew exactly what was coming while we had no idea," Rosa said. Cows aren't so dumb after all. We got stuck and they didn't. We left it too late and they anticipated. We have conscious rational minds and they don't. I think I need to study the hidden laws of cows a bit more closely. Thinking about updating your "look" for your next outdoor adventure? Right: Strike a heroic pose anytime in this hand-picked ensemble. At the end of his journey, Richard models a selection of gear from op shops and garage sales. Spruce up your look with a head-torch to light up your trail! Then again, carrying only a sense of humour and wearing just a big smile will take you further than you can believe possible! It is my last day on Stewart Island's Northern Circuit trail, where the Tasman Sea, South Pacific and Antarctic oceans meet. The cold wind and lashing rain speak of frozen wastes lying beyond the southern horizon. It is also my last day of the te ararao, long pathway, which I've followed from the balmy headland of Cape Reinga to here. In four days, I will meet my wife Rosa again after two months' apart. I will see friends, talk with family and live in a city. The tangled trail matches my feelings on this final day which started well before dawn. After eleven days of walking, I'm weary, my food bag is near-empty and I have a long day before me if I am to reach Oban before the supermarket closes. The weather presses closely on me as if Stewart Island, having laid out all her charms, has now turned nasty. Gusts of wind tearing through the tree branches overhead disguise the sound of my footsteps enough for me to walk into a small herd of deer and trip over foraging kiwi birds. My head-torch struggles to light the path ahead until a grey dawn illuminates knotted roots, muddy pools and slippery rocks. At around midday, as the weather eases and the island releases her grip, the rough back-country trail merges with a smooth track that soon leads me to North Arm Hut, a Great Walk hut. I stop there for my last meal of this long journey: dehydrated mince, mashed potato and vegetables with dried mushroom soup thrown in for taste. Recklessly, I squirt the last dollop of carefully hoarded condensed milk into a mug of coffee. The hut is barren and cold although the wood-fired stove still retains a whisper of warmth. After eating, I wander about taking photographs, thinking about clients I would love to bring here and pondering the return home. I have mapped out the next few days: playing tourist in Oban, busing to Dunedin and flying to Auckland. I am moving into the unknown again but I have been doing that for months, every day. Returning to a fast-paced city life holds no fears for me if I can keep what I have found in places like Stewart Island. Back on the trail, moving swiftly over an excellent track and with the fickle sun breaking through swiftly passing clouds, I expect with relish a hot shower, cotton sheets and a feather pillow (after a pub meal washed down with a bottle of wine!) Mentally, I am already leaving Stewart Island behind and gazing forward to new horizons. Having faced southward for so long it is time to look northward where Auckland sparkles like the principal gem in a diadem gleaming with islands, bays and 53 dormant volcanoes. Deservedly, pollsters rate it as one of the world's most livable urban centres. Walking trails and bike paths lace the suburbs. If you have to live and work in a city, this is a nature lover's dream. It offers the best of both worlds and will make a wonderful launching pad for the walks I want to take people on. Soon I will emerge from this solitary way of life. It has changed me in ways that are hard to express in words. Does living so close to the natural world transform a person at a cellular level? We are not separate from the web of life but a part of it. Is that invisible molecular connection the reason we feel so good out here? It is not just about gaining a sense of connection with the world out there. It is also about connecting with yourself. When you walk through wild places, you become your own best friend. You have to. There is no escape from "you". You rely on yourself, advise yourself, encourage yourself, argue with yourself, beat yourself up, blame yourself and, on a good day, laugh at yourself. After a few days, you gain the uncanny sense that "you" is observing "you". If you have sat on a lengthy meditation course, you will know what I am talking about. Through movement, breath and solitude, you harmonise your inner world and become friends with it. Thoreau got it right. Solitude is the most companionable of companions and the great banisher of loneliness. Home isn't out there. It's in here. For Thoreau, a path in nature was a pathway of healing. When he connected a path on the ground with a path in the mind, he did not know about neuroscience. Since then, a medical revolution has revealed the wonders of neuroplasticity. Our thoughts travel along neural pathways that become more ingrained with repetition. This is a message of hope because anyone with a little knowledge and determination can change their thought patterns in about 42 days. It's a process called "rewiring". However, the same research shows that the subconscious emotional mind, functioning below conscious awareness, operates up to nine seconds ahead of the conscious mind. It's not enough to have a single thought. You need as much knowledge, training and practice to override powerful and instinctive subconscious patterns as you do to move safely and joyfully over a wilderness track. I ponder this while walking the rough track between Big Hellfire Hut and the next destination, Mason's Bay Hut. After so many weeks of walking, the mind soon slides into an easy groove while the body does what it needs to do. It's a wonderful feeling of inner cooperation that allows the imagination to take wing. However, not all trails are smooth and not all thought patterns are joyous. Take trauma. Today, we know so much about how the chemical composition of the brain changes in response to a terrifying event. People who suffer from Post Traumatic Stress Disorder are quick learners. They have learned to fear a situation, person or event in milliseconds. In an instant, a new neural pathway is laid down and becomes reinforced over time. Trauma is an uncontrollable, runaway process that lies beyond conscious control. Yet, walking down this trail, I'm reminded again and again that our ancestors lived close to nature. And nature is as much a place of violence, blood and death as it is of peace, growth and life. The Maori who lived here engaged in warfare as a lifestyle and trained boys from the age of five to be warriors. What process allowed Maori warriors to reintegrate safely back into their iwi or tribe after extended and brutal war expeditions? The question is relevant because today we're seeing unprecedented levels of PTSD and associated symptoms in American, British, European, Australian and NZ servicemen and women returning from the wars in Iraq and Afghanistan. I am told that more US servicemen have taken their own lives than have been killed in combat. Out here, it is possible to tap into a sense of grief that this is the case and a renewed feeling of determination to play a role, no matter how small, in preventing further loss. From the perspective of a former Army officer who went to war three times and from the viewpoint of a therapist who works in this area, I believe it is not the event that is the problem. The problem is how much stress a person has at the time of the event. Our modern, fast-paced, over-crowded and socially-isolated life creates high levels of stress. The higher their stress level, the more sensitive a person is to an event. It seems it takes only one too many stressful events to tip a stressed person over the edge into full-blown trauma. Maoris, with such a strong sense of belonging to their iwis and tribes as well as to nature and with a rich history of myth and legend, were not stressed. Therefore, they could cope with the daily traumas of life, so much better. Fortunately, we have a simple and elegant solution. The way to heal traumatic memories is a three-step process. First, relax the mind and reduce stress levels. Second, neutralise the fear associated with the event. And third, "rewire" new and much more positive thought patterns. It works in an indoor clinic setting. I've proved that over and over. However, this process will work even more swiftly in nature's therapy room. I am going to bring former servicemen into wild settings like this to show them how to walk a trail of healing on the ground and in their minds. Could it be that we only understand our environment when we move at a walking pace? The question pulled me forward from the fly camp I'd made under wind-tossed beech trees and on to Big Hellfire Hut two hours distant. It stayed with me while I slid down the sandy trail made by penguins and deer to the beach 200 metres below. It's an extraordinary feeling, knowing you are the only person for many kilometres. There's a sense of loneliness and vulnerability as well as freedom and belonging. I can't find this combination anywhere but out here. It feels right. While I pad down the beach, I scan constantly. There's so much to see, touch, smell, hear, taste. This is what it must have been like for our ancestors, walking in the midst of so much land with so few people. I stop short by a stranded kelp plant, stretched like a marooned alien on the sand. The stem clutches a stone so tightly that I can't pry it loose. Next, I track penguin footprints up and into the scrub, seeking the mystery of a roosting place. From there, a cleft in a rock attracts my attention. I explore and experiment with photography. At the end of the beach a rock ridge bars the view. Of course, I must climb it to see what is on the other side. The innate urge to go further is a reminder that we are born to explore and to walk. Our ancestors literally walked themselves out of Africa to populate the planet. They used their brains to change the world. Today, contemporary hunter-gatherers still walk prodigious distances, about 16 kilometres a day for men and about 10 kilometres for women. Over a year, they walk about 5,000 kilometres. Imagine walking the length of New Zealand and back again, every year. The idea makes me wonder, "How has walking changed the human brain?" I think an evolutionary argument can be made that walking led to the development of our brains. Based on experience, my hunch is that our brains absorb information best when walking. We've designed a world where we move too fast, zooming along in miniature time-capsules, trying to beat the clock and meet illusory deadlines. It's stressful because the subconscious mind doesn't understand "tick-tock" time. It operates on a sensory and primal rhythm. When we move too fast, we cease to see our environment as it really is. Out here, walking in wilderness at about 5 kilometres an hour or less, the conscious and subconscious can learn to work together in relaxed harmony. As a result, our experience of the world opens up. When walking, the world unscrambles and becomes intelligible in a way that doesn't happen in cities and towns. I freeze. Something doesn't fit. I look around. There! Three white-tailed deer are grazing on salt grass about 50 metres away, upwind. An alert doe lifts her head after five minutes and stares at me. She drops it again to feed and I release my breath. Unconsciously, I had been holding it. The wind is chilly, though, and I walk on. At once, their tails flash warning signals and they bound effortlessly uphill. I walk more briskly now, breathing deeper. The brain needs glucose and oxygen in the right proportion for clear thinking just as an engine needs fuel and air in the correct mixture for smooth running. Walking gives the brain what it needs. At the beginning of every tramp, it never ceases to astonish me how walking sparks clarity of thought. If our conscious mind is a problem-solving, solution-finding tool, then walking is the sharpening stone. The ancients understood this. Hippocrates said, "Walking is man's best medicine." Aristotle walked while he thought. Diogenes the Cynic may have coined the Latin phrase, solvitur ambulando: "It is solved by walking". We are not designed for the modern fast-paced, stressed-out, sedentary world so many of us live in. We are designed to walk in natural settings, alert, relaxed and tuned in. At the end of the beach, I meet another tramper. I'm glad to see him and look forward to a companionable evening. The people you meet out here are kindred spirits. For a few days or longer, we each find a way to reject what has become the norm and return to the nomadic ways of our ancestors. Walking a long trail reshapes our brains to match theirs. "How do you spend long nights on the trail?" One of my readers asked, "How do you spend long nights in the outdoors?" The answer is, "Much as I'd spend a long night indoors." I toss and turn, read a book on my iPhone, snooze and wake up again. If it's raining, I feel for leaks and tweak guy ropes. If I'm chilly or overheated, I put on more clothes or I take some off. If I'm sore or aching, I take an aspirin. I may even go through the effort of making a hot drink. If I want an adventure, I break camp and walk by head-torch. At the start of a tramp, I curse, moan, question what I'm doing and laugh in disbelief at my stupidity in thinking this would be fun and enjoyable. Why forego the haven of a warm cosy bed next to my luscious wife for this? The reality is that long nights will outnumber short ones but if I put comfort to one side, they are no different to ones indoors. You still have to master your mind and this is where it gets interesting. I remind myself that waking during the night has been the norm for most of human history. In fact, broken nights (or segmented sleep patterns) are still the rule and not the exception in many cultures around the world. For example, anthropologists embedded in contemporary hunter-gatherer societies report that their subjects are some of the happiest and well-rested people on the planet, despite waking up at night for extended periods. Social scientists and historians also reveal that our pre-industrial forebears followed similar segmented sleeping patterns. The "Myth of the 8 Hour" sleep may be just that. When you take a longer term view, it can come as a pleasant surprise to acknowledge that we are "hardwired" to have two distinct chunks of sleep a night. I tell myself that long nights on the trail are simply nature's way of recalibrating a more natural rhythm of rest. I don't need a unbroken sleep to perform well the next day and nor do you. One of my delights is to slip into a sound and refreshing at midday sleep in the same way that a modern day hunter-gatherer does. It is good for the brain as well as the body and surely contributes to the sense of intense well-being nearly all trampers experience after just a few days on the trail. Knowledge is power. In this instance, knowing that it is normal and beneficial to awaken during the night helps me relax about it. The more relaxed I feel, the shorter the night seems. I may not be as comfortable on the trail as I would be indoors. But when I lie awake at night, knowing I am cradled in the arms of Papa-tu-a-nuku, the Earth Mother, and blanketed by Rangi-nui, the Sky Father, I feel at home. The further I walk along Stewart Island's Northern Circuit trail, the more I ask, "Why on earth would anybody want to settle here?" The seas teem with Great White Sharks, the waters are freezing, the beaches are infested with black flies and the bush is impenetrable. Oh, and the weather is foul. I can't help wondering what it would have been like if I had somehow convinced my Irish wife Rosa that we would make our fortune here as 19th-century sealers, whalers or wood-choppers. Already seasick and soaked, we'd have been rowed in through surf by a burly crew and dumped on a rocky shore with a few chests of supplies and an axe. Swatting at clouds of black flies, crying, "God help us!" and waving her white hankie to summon the rapidly departing crew, Rosa would no doubt have sunk into a complete meltdown as the boat's sails dropped over the horizon. The early history of Stewart Island abounds with tales of hapless couples who arrived and got stuck. In Oban I read a salutary but all too typical story about a forgotten couple stranded on the island. One day by rare chance, a boat arrived. The captain told the husband, "It's now or never, mate." Unfortunately, the wife was away foraging and the husband wouldn't leave without her. It would be several more years before another opportunity arose to leave. They were lucky. As the display in Oban tersely points out, "Many didn't survive." A walk like this reminds me of how I am treading a risky boundary as a solitary tramper even though there is a well-marked trail, maps and modern shelters. Yes, I am experienced at managing the inherent risks out here but still, so much can go so wrong, so suddenly. The early settlers had no communication with the outside world for weeks or months at a time. Even today, Oban has only limited wifi and cell phone coverage. Outside of town, you might as well be on the moon. So, how can a modern tramper reach out if he needs to? 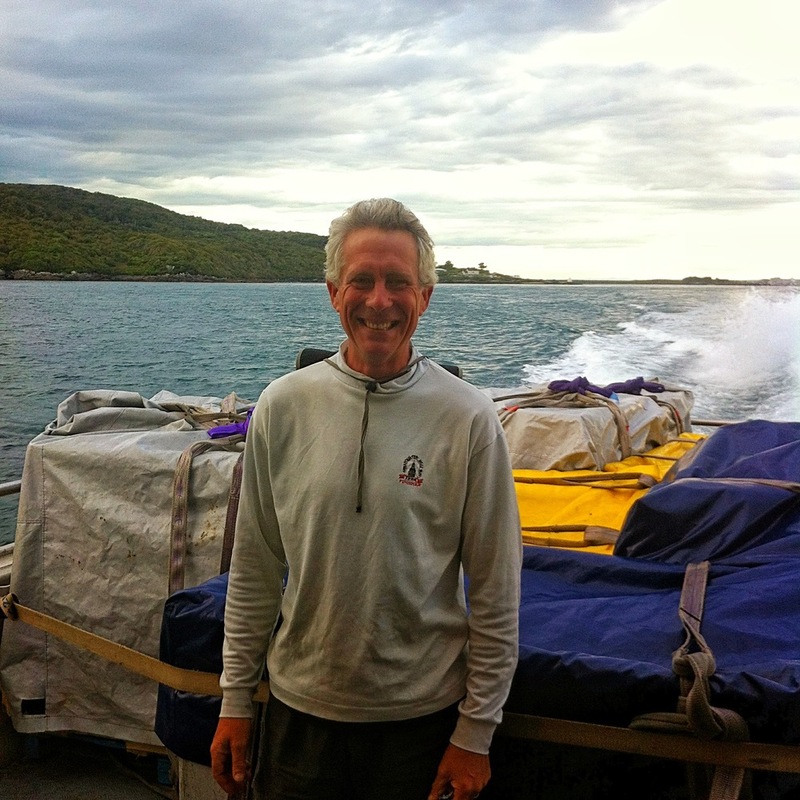 I met Mark, a hunter, fisherman and long-time Stewart Island resident, at Mason's Bay hut. In between puffing on a fat "rollie" cigarette and dipping biscuits in his mug of tea, he showed me the radio that hung from his neck. "This is what you need: VHF," he said, handing it to me. He reeled off a list of rescued hunters, fishermen, tourists and trampers. If you could think of something going wrong, it had gone wrong. The VHF radio proved to be a godsend every time. "You can talk to the Coast Guard, Police, fishing boats, helicopters, hear the weather forecast. People are always listening out for each other. You can get help in minutes sometimes." "What about EPIRBs or PLBs?" I asked, referring to Emergency Positioning Indicator Radio Beacons and Personal Locator Beacons. In recent years, both have become trendy with trampers. Mark shook his head. "The problem with beacons is that it takes at least two hours for someone to get to you and that's too long. Plus, you need to have satellite coverage which isn't guaranteed. You can press the button but you won't know the signal's been received until you hear a helicopter. With a radio you remove the uncertainty and you can keep people informed." We can all have trouble thinking outside the box. Sometimes, the simplest solution is the best one. I'm taking Mark's advice in future. I can hire a VHF radio for coastal walks or a longer-range HF Mountain Radio for mountain treks for about $50.00 a week. These days, their weight is negligible while their value is potentially incalculable. And I reckon carrying a radio would be about the only way I could persuade my wife to join me on a wilderness walk. You never know when a lady might need a hot bath! "You're Guaranteed to See a Kiwi"
The DOC ranger in Oban had assured me, "You're guaranteed to see a kiwi in the wild." Yet four days into the trail, I had only heard their screeching calls. One by one, gleeful trampers reported sightings but not me. I tried not to show my despondency. It surprised me, how much I hungered for a glimpse of this shy, ground-dwelling, nocturnal bird. The longing might have been founded on a Maori woman's insight a year before, long before I thought about undertaking this te araroa through NZ. She told me with clairvoyant certainty that kiwi, the guardian of the forest, was my totem and guide. To be honest, I felt disappointed about the unglamorous association. Who wants to be linked to such a dull, brown, dumpy, short-sighted, earth-probing bird? They can't even fly! But when I read about how much Maori esteem kiwi, I changed my mind. In Maori mythology, all living things are descended from the union between Rangi-nui, the Sky Father, and Papa-tu-a-nuku, the Earth Mother. Two children came from the joining: Tangaroa, who brought the fish and other sea-going creatures into being and Tane-mahuta, who made the forests, birds and humans. Tane-mahuta's first-born, Kiwi, took on the role of protecting the children that followed. Somehow, the natural order became imbalanced. Insects multiplied and feasted on the trees, causing them to grow sick and die. Tane-mahuta summoned the birds for a family conference to deal with the crisis. He asked for a volunteer to leave the forest canopy and live on its floor where it could hunt the insects and protect the trees. One by one, the birds refused. Tui feared darkness. Pukeko disliked cold and damp. Pipiwharauroa was too busy building a nest. Only Kiwi agreed to forsake his love of sunlight and the company of his tree-dwelling family. Overjoyed, Tane-mahuta nonetheless wanted to make sure Kiwi understood the magnitude of his decision. He warned the bird that he would have to grow thick strong legs and a long ugly beak to break apart rotting logs and dig into the damp earth, that he would lose his coloured feathers and wings and that he could never return to the canopies above. Even so, Kiwi accepted his losses and stood by his choice. Tane-mahuta rewarded the selfless bird by making him the most beloved and famous of all his creatures. Today, the kiwi is a national symbol and shows the qualities that all human Kiwis admire: integrity, courage and humility. And what of the birds that refused Tane-mahuta's plea? He punished Tui by giving him the white throat feathers of a coward, by banishing Pukeko, the swamp hen, to the marshes and by preventing Pipiwharanuora, the cuckoo, from ever building another nest. After hearing this tale, I had decided, "Give me a kiwi any day and to hell with glamour!". After all, I'm the eldest of my siblings, into blundering over trails at night and prefer muted colours. And I'm growing more short-sighted by the year. I also love forests. One purpose in walking this land is to showcase its imperilled beauty to others. If our children, recent immigrants and politicians do not value it, then we'll lose it for future generations. Once again, nature is out of balance and Tane-mahuta's beloved forests are under threat. While I walked just after dawn on the fourth day, a fleeting grey shape darted across the path. "Just another deer," I sighed. "How dull. I want to see a kiwi,"
Then another movement, a few metres closer, caught my eye. A long beak prodded the earth from behind a grass tussock. A rounded unmistakable shape followed. No tramper ever stood more amazed and delighted at the sight of this dowdy bird. The morning brought one more gift. After the kiwi had moved out of sight in single-minded pursuit of breakfast grubs, I paused to peer into the scrub the deer had entered. Instead of a deer, a metre-tall yellow-eyed penguin glared at me through the tangled branches. We eye-balled each another with marvel on my part and suspicion on his. Goose-bumps prickled my arms and neck. Were Tane-mahuta and Tangaroa touching me? I could almost guarantee it. Stewart Island is the kind of place where the ancient stories come alive. I walked without the aid of the head-torch's beam when the forest turned from black to leaden grey in response to the deepening glow from the East. Surrounded by ferns and stately beech trees, I laid down my pack, made a trail-side seat on a patch of moss and grew quiet. After the focus needed to pick each step in uncertain light, it takes a few minutes to move into stillness. The echoes of pulse, breath and footfall softened, to be replaced by rising birdsong, the muffled murmur of surf and the liquid rush of a stream. While I walked to one rhythm another had been operating all the time. Now, the forest breathed, stretched and smiled. Light gilded the leaves and caught me in a spell. A mounting "Dum! Dum! Dum!" broke the reverie. No deer or wild pig could tread so heavily. A moment later, I recognised a tramper from the hut of the night before, headlamp still on, eyes on the trail, in his own world of effort and so focused he didn't see me until I murmured, "Good morning!" when he drew level with my mossy seat. The tramper shied. "Bloody hell, mate! Where did you spring from?" I regretted the mischievous impulse to startle him. He wanted to talk while I wanted to sit in stillness for a little longer and feel the woodland breathe into a new day. He was in one space and I occupied another. Patiently, I waited. After a couple of minutes, he moved on. The land absorbed his footfalls and then absorbed me. Can a place align a person's energy with its own? When a fantail, the comic of the forest, posed on my knee and cheekily flirted its feathers, I knew the answer and smiled. I love maps. The ability to "read the ground" and navigate is a highly prized military skill. I spent hours poring over contours, features and landmarks and still enjoy doing it. Maps are codes that can be partially unlocked by imagination. However, the only way to fully crack their mystery is to set your eyes on the land and put your feet on the trail. A map can show you the way but it cannot tell you what it is to like be there. For example, no map, however well-detailed, can give you the full experience of moving through a forest at night. You follow a dim trail by your headlamp while a bright moon casts shadows and gleams on rocks and branches. A map cannot tell you what it is like to hear a kiwi calling or the liquid murmur of a rushing stream rising from a dark valley. Nor can a map give you that strange feeling of being vulnerable and being completely at home in wilderness. A map is not the territory. I thought about this while I climbed through the dark forests of Mt Anglem/Hananui. At just under 1000 metres, it is Stewart Island’s highest mountain. I had left Christmas Village hut shortly after 4.00 AM in order to reach the summit in time for sunrise about four hours later. A glowing moonrise the night before had auspiciously forecast a clear dawn. The trail looked straightforward on the map but two days ago in Oban, the DOC ranger had warned, “It’s steeper, further and tougher than it looks." Pulling myself up yet another ladder of muddy roots and rocks, I agreed with him. Yet the experience was worth every step. When the sky lightened behind me to the east and I could see more clearly, I hastened upward over spongy tussocks and moss, like a troll trying to reach sanctuary before the first rays of dawn turn him to stone. Too late! The sun caught me on the ridge overlooking a black tarn and I turned, struck dumb and motionless with wonder at how the land flooded with colour. The spreading blush reminded me of the common Maori name for Stewart Island, Rakiura. Translated and shortened, it means, “The great and deep blushing of Te Rakitamai”. It comes from an ancient story about a proud young Maori chief, Te Rakitamai, who led his retinue of warriors to Stewart Island in search of a high-ranking wife. We can imagine this tattooed warrior stepping ashore from his waka in pursuit of his prize. After the customary greeting formalities, he would have taken his place of honour in the other tribe's marae (meeting house) where perhaps a hundred or more men, women and children had gathered to witness the high-profile offer of alliance. The pride, dignity and reputation of both parties lay at stake. In an electric atmosphere, the visiting chief made his offer. But some misunderstanding had occurred. The eldest, highest status woman was already betrothed. The young chief blushed but manfully made an offer for the younger daughter. She too had been promised to another. Te Rakitamai's deepening blush of shame made such an impression on his hosts that they renamed their home and even its highest mountain after him. Mt Rananui means, "the great blush." Like so many Maori myths, this one speaks directly of human experience. Who has not experienced the embarrassment of rejection, failure and loss of dignity? I think these legends are like maps. They show you the way but not until you enter the territory of experience can you fully understand. Stewart Island had hooked my imagination long before it rose from the horizon, its forested and mist-shrouded hills outlined in the ferry’s salt-streaked windows. Once I stepped ashore and walked toward the small cluster of buildings that make up Oban, that hook sank deep into my heart and took hold. 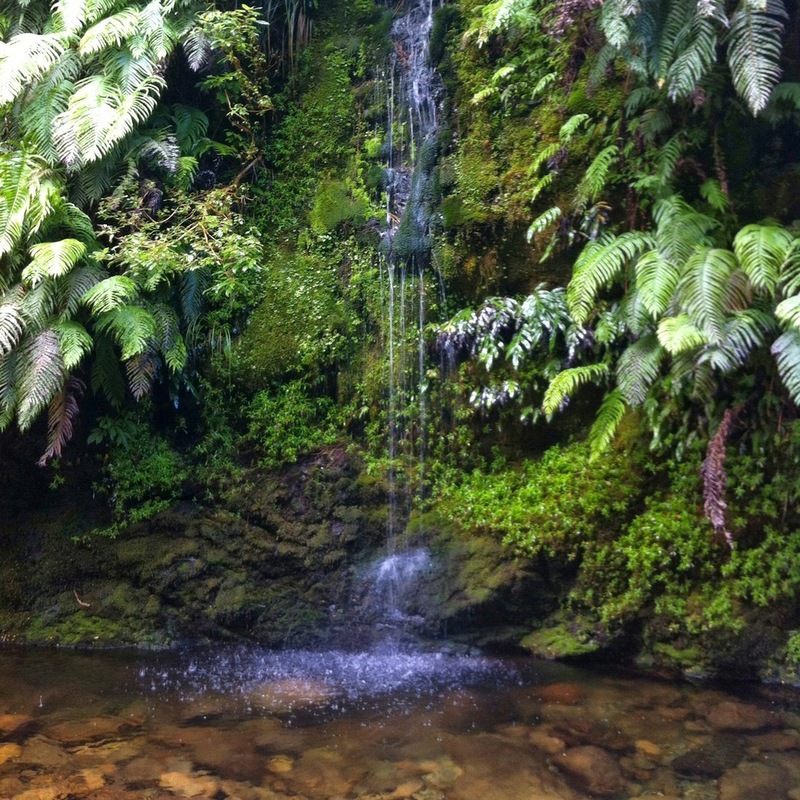 The island of Te Punga o Te Waka a Maui is also embedded in Maori mythology. Translated as “The Anchor Stone of Maui’s Canoe”, it speaks of its part in the legend of Maui and his crew. From their canoe (The South Island) anchored by a stone (Stewart Island), they caught and lifted a great fish (The North Island). Stewart Island is an anchor, it seemed to me, while listening to an enthusiastic and knowledgeable DOC ranger brief me on the 125 kilometre, ten day Northern Circuit Trail. A large scale map reveals how it anchors New Zealand geographically, standing 30 kilometres from the mainland, lying exposed to the gales of the Roaring Forties, girdled by fierce seas and currents, sliding off towards Antarctica, only a seven days’ voyage south. The island also holds modern New Zealand to a memory of how things were not so long ago. Remote, difficult to reach, wild, free and populated by small self-reliant groups of both Maori and Pakeha heritage, modern-day Stewart Island may have all the amenities of the 21st century but it feels as if you are stepping back in time when you leave the ferry gangplank. Under 400 people live there year round. There is no hospital (although there is a primary school and a well-equipped community centre, library and sports hall.) A hairdresser travels over from the mainland every six weeks to cut the islanders’ hair. The bush and wildlife also anchors the other two islands to the past. Here, you can gain a sense of what native bush would have looked and sounded like centuries ago before logging, mining and invasive species of predators and deer devastated native populations. Nearly all the land is owned by the state and 80% of that has been set aside as a National Park. This is as about as good as it gets anywhere in the world today. That anchor stone doesn’t just hold New Zealand to the best of the past and its values. While I walked the hilly five kilometres of road to the trailhead, I hoped it would cast a line forward to a future in which these South Pacific islands can rise to show the rest of the world how to care for the land and waters. Meanwhile, I know that this trail will be a special one. It’s going to be wet, muddy, tangled, wild: a true tramping challenge even without the added burden of having to carry ten days’ worth of food and other supplies. I don’t expect to meet many trampers, especially on the further reaches of the Northern Circuit. The Island now also boasts the Rakiura Trail, the latest Great Walk. It’s a three day circuit that has already made the rounds on backpacking forums, guides and travel sites. Stewart Island is becoming a “must go to” destination. However, once I’m beyond the reach of the Great Walk in a day or two, numbers will drop. This trail has hooked me already and the line is pulling me forward onto it. Today I reached Bluff, the southern-most point of South Island and the official end of the Te Araroa Trail. I thought I'd feel important and special but it wasn't like that all. I had to laugh when I compared the Bluff signpost with the one at Cape Reinga. Somewhere along the trail, 51 kilometres have gone missing. But who's counting? It's just part of NZ's quirky charm. What else has been lost along the way? Work, clients, position, money. So, why do I feel so good? To get to Stewart Island, two days’ travel to the south, I had to go through the fleshpots of Queenstown. I hold mixed feelings about this tourist mecca. It’s easy to judge the town based on the hordes of designer-label rich kids thronging the sidewalks, infesting the bars and clubs and boasting about their latest bungee jump. But, who am I to judge? I’ve been there myself. Each time I come to Queenstown, I realise that youth looks for happiness in different ways to middle-aged people like me. These kids want the thrill, to ride on the edge, to chase and be pursued. It’s the opposite to what sparks my fire at this stage of life. How much confusion and drama happens when middle-aged people mistakenly believe that the source of happiness lies in their youth? One thing I do like about Queenstown is that it has one of the best independent outdoor sports shops on this planet. After booking myself into the over-priced and over-crowded campsite and buying an over-priced under-sized take-away cafe latte, I made tracks towards Small Planet Sports. I’ve been visiting here since 2006 after equipping my tender-footed and plump teenage stepson before his first ever foray onto a back-country trail. The experience completely changed his world. He lost weight and kept it off, took up BMX biking and surfing and made some great new friends. Walking up to the hopelessly disordered shop front on Shotover Street, I smiled with relief when I saw the familiar unpretentious entrance. By comparison with the slick plate-glass shop fronts of the major retailers, Small Planet Sports looks like that embarrassing down-at-heel relative you don’t want to invite to the wedding. But don’t let appearances deceive you. Step inside and you enter Aladdin’s cave. Daryl the owner and his merry band of outdoor fanatics source equipment from all over the world. Some of it comes from tiny start-up brands and some from major suppliers you rarely see in more corporate suppliers. Whatever you’re looking for you can be certain of three things: it works, it’s been tested by Daryl and his assistants and it’s well priced. Of course, I can never go inside without buying something. On this day, I was chatting with Eddy about my expensive tramping shoes and how the insoles retained water like a sponge. Eddy sprang into action with the enthusiasm of a beagle on a hunting trip. Rummaging through the packed shelves, he emerged with a box of waterproof insoles from a supplier I’d never heard of. Needless to say, when I eased my feet back into the shoes, they sighed with pleasure. A small discount just sweetened the deal. That’s why I keep coming back time and time again. And it’s why I’ve got no hesitation in recommending Small Planet Sports to you. In a small town where appearances can deceive, there are rare gems scattered amongst the costume jewels. The tired Toyota mini-van shuddered and wheezed to a stop outside the Glenorchy Hotel. Chris the driver slid open the battered door and my new tramping companions and I tumbled out onto the hot tarmac and stretched our cramped limbs gratefully. He didn’t need to ask. On the trail, people form loose affiliations that may last for a day or a lifetime. Chris and I had met three days earlier in the Dart Valley where he was running a hopeless race against sunset, a strong wind and nearly 1000m of elevation to reach the Cascade Saddle. I had met the others later. Walking separately by day and meeting up by evening, we’d climbed Rees Saddle in a freezing gale and walked down the Rees River flats to Chris’s van under welcome sunshine. Once again, the weather god’s smiles had followed a tempestuous but short-lived tantrum. After the first beer, I tottered over to the large map of Mt Aspiring Park with one of my companions. I put a finger on Makarora and another on Glenorchy. The iPhone clicked while I grinned self-consciously. It didn’t feel quite real, finishing. Gladness, relief and regret mingled while a second beer followed the first. “Eleven days, four passes, one man. Well, I did it!” I basked for a while in a glow of alcohol and achievement. I remembered a quote by the renowned Italian climber, Walter Bonatti. His words matched my experience and gave it a new context. It’s how I want to work with people in the future. I called Rosa a second time just to hear her voice once more. My melancholy evaporated. We’ll be reunited in less than three weeks time. She's proud of me and I'm grateful for her support. Between then and now, lies the final trail of this four month te araroa, this long pathway down New Zealand. It winds through rain-soaked native forest and along wild beaches far to the south. It's a place where kiwi birds feed on sand and penguins roost under trees. Stewart Island, here we come! At the start of the trail leading up and over the Cascade Saddle to the Dart River valley, I stopped in my tracks to read the conspicuous warning sign. Many trampers and climbers over the years have fallen to their deaths on this trail. Over-confidence, lack of knowledge, inadequate equipment, bad weather and slippery snow-grass have all been contributing factors to the accident rate. It's a compelling metaphor for business and for life. To go higher and reach further, there are times when you have to leave safety behind and move into the unknown. While I climbed through a beech forest, dappled with early morning light, I reflected. One part of my mind concentrated on footfalls while the other roamed free. It’s a choice: to stay with the known, the comfortable, safe and familiar or to extend yourself and step into the new. I believe we humans are born to walk, to venture into untrodden territory, to open new possibilities and to prove that the only limits are the ones you place on yourself. This irresistible compulsion to explore and grow must be wired into our DNA. What better place to experience it, than in a setting like this with Mt Aspiring a beckoning symbol of our individual ambitions and dreams? How better to extend your capacity to take risks in daily life than to test it here in nature’s therapy room? The higher I climbed, the more the gulf to my right yawned, exposing teeth of rock, just a metre or so from the trail. Where a tongue of rock jutted out to hang over the blue-shadowed valley 1000 metres below, I stopped, knowing what I had to do. I wanted a photograph to show people what it’s like to stand on the edge of the unknown. I just prayed the photograph would not be the last record of this tramper's terminal slip into oblivion. As soon as I heard the self-timer's electronic voice counting down, I crept forward, hunched like a soldier under fire, knees trembling, instinctively trying to make myself smaller and resisting the urge to cling to the ground. My senses whirled. No security here! Later, up on the saddle and during the long descent into the Dart Valley, past the dripping snout of the glacier and along the river toward the hut tucked into the protective shoulder of a mountain, the elation of that moment remained. In the late afternoon, I met a tramper running up the trail, wearing shorts, singlet and a daypack. “Where are you going in such a hurry?” I asked with a smile. “You won’t make it up there before nightfall let alone get back to the hut,” I said. He considered and sensibly decided to lower his sights something more achievable and less risky. There are times when the hard reality of the trail constrains our sense of unlimited potential. Today, I decided to get high with Eli from Israel. Before you judge, I’m talking about a natural high, not a drug-induced one. It’s splitting hairs, though. A good steep climb up through a tangled beech forest and out onto an exposed ridge-line sends a powerful stream of chemicals through your brain. The reward? A state of blissed-out euphoria. After lunch, I sunk onto a patch of alpine grass a hundred metres above French Ridge Hut. Cradled in a sun-warmed bowl that sheltered me from the cutting wind, I focussed dreamily on rainbow curtains shimmering from a wind-blown waterfall and on clouds boiling over a pass only to evaporate against invisible fingers of warmth rising from the valley. Eli, my equally spaced-out walking companion is my age but an inexperienced tramper. He’s having a bad “trip" because he feels anxious about walking back down on his own. He’s brought a little food and a sleeping bag but no stove or fuel. I offer to share mine and he relaxes. I came up here for solitude but now I find how enriching it is to share an evening with this kind and thoughtful stranger. There is nothing like getting high in nature’s therapy room. Most people want an instant fix without effort. Doctors, psychiatrists and drug dealers are happy to oblige. But you can’t get this natural high without stepping into the pharmacopeia of nature’s therapy room. Come on in and blow your mind. Today, I want to become a trail angel. I’ve written about how an angel named Yvonne rescued me and how I helped a distressed hiker. Those stories are just two examples showing how the trail brings out the best in people. So when Ken, the cheerful driver and owner of KT Taxis in Wanaka dropped me at the trail head leading to Mt Aspiring Hut, I was not surprised to find two young Israeli hikers making coffee for an 80 year old Kiwi tramper who had just finished a three day walk. You find a lot of Israelis in the South Island and most of them are celebrating their release from three years of compulsory military service. Taking a year abroad is as much a rite of passage for these young people as working in Europe is for New Zealanders. After a short two hour walk up the Matukituki River, the Israeli couple and I talked while we ate supper in Mt Aspiring Hut’s airy living area, lit by the early evening sun flaming on the peaks. They told me a fascinating story about the Israel National Trail. A more mature version of NZ’s Te Araroa Trail (the INT was inaugurated in 1995; the TAT in 2011) and shorter (1000 kms; the TAT is over 3,000 kms), walking the INT is now as much a part of national consciousness for Israel as military service. “My wife Rosa hates it too. She’s a ‘glamper’ not a ‘tramper’.” I explained about the growing trend of ‘glamping’ or ‘glamour camping’ where sybaritic urbanites can get a taste of the outdoors while sleeping in luxurious tents and beds with all the mod cons. Lying in my bunk that night, I thought about the Te Araroa Trail. When I was still following it up in Northland, I had noticed again and again how the natural helpfulness of Kiwis had begun to flower along its length. I wouldn’t be surprised if flocks of trail angels appear in time. Actually, they exist already in the form of helpful DOC staffers and volunteers, tramping club members, local people, hunters and trampers. NZ might not need a formal network because it already has one. That's the spirit of this country and it's one of a few core national qualities that draw people like the Israeli couple to it. And I now want to take Rosa to Israel so we can experience their trail angels for ourselves. The first cold and heavy raindrops pockmarking the dusty gravel road and a warning mutter of thunder from the lowering clouds sealed the deal for me. All day, I had pondered how to vary my original plan. The truth was, I had bitten off more than I could comfortably chew. I had been walking in wilderness for five days and wanted to rest for a day or two but didn’t have the food to do it. A signpost spelled out my choices: to the left, Wanaka, over an hour’s slow drive south. To the right, Mt Aspiring Hut, a 2.5 hour walk northwards, and gateway to the third of four major passes I needed to climb. With the rain splattering on my waterproofs, I tuned inward and allowed intuition to take over. I turned northward into the gathering gloom. Not that I expected one to appear so late in the day. Nonetheless, headlights appeared, weaving slowly down the rough road. A camper van! I stuck out my thumb. It stopped and the window rolled down. When I had left Wanaka a week ago, the town had been more or less empty with plenty of “Vacancy” signs in the windows of its motels and hostels. Now the park held marquees and a fun fair and the town was packed with Kiwis at play. Happy adults clutching overflowing drinks spilled onto the streets from pub doors, excited children roamed in packs and muscular athletes in fluorescent cycling gear hovered around ranks of mountain bikes. I raced to the motor camp and snagged the last remaining tent site. I asked the glowing receptionist what the excitement was all about. “The South Island Agricultural Show plus the Motatapu Mountain Bike Race,” she replied breathlessly. Beaming at the thought of so much long-awaited entertainment, she turned away to register a long convoy of motorhomes waiting at the gate. 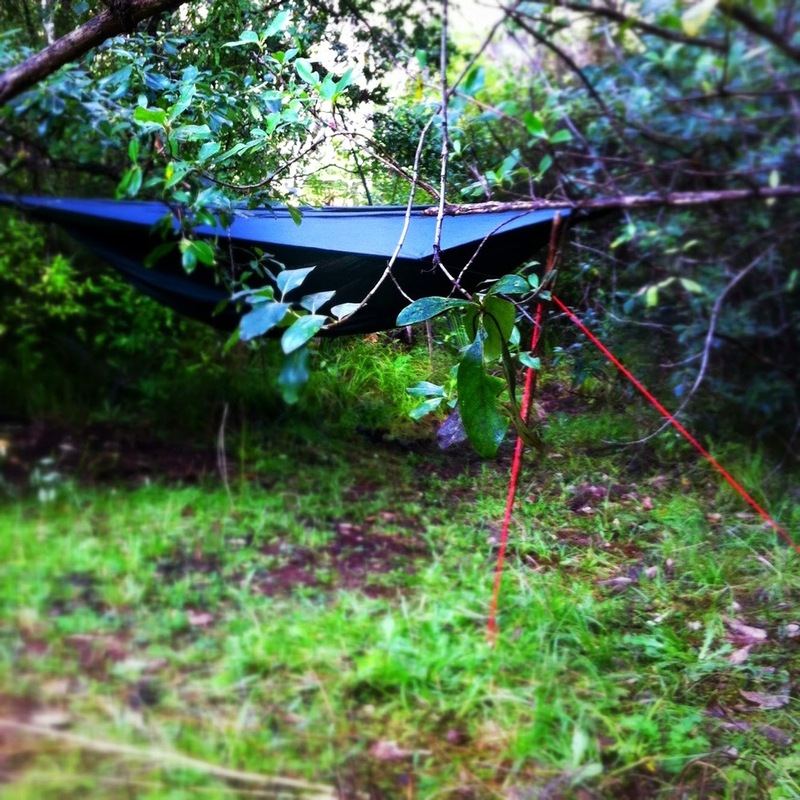 After setting up my tarp beneath a fruit tree, I showered, ate and slid beneath it into the familiar comfort of my “onesies”. Nothing, not the sound of berries pattering down a few inches above my face, nor the raucous laughter of gumboot-shod Kiwi farming families barbecuing steaks, nor the cries of children moving from excitement to over-tiredness could keep me awake. After a damp and chilly dawn way back on Ruth Flat, I had walked down a flowing river bed, climbed high up the flank of a mountain to avoid an impassable gorge and along a riverside trail until I crossed another river, the West Branch of the Matukituki. Tired beyond tired, I lapsed into a coma. Shatteringly, a donkey’s bray paralysed my ear drums. On cue, all hell broke loose. Horses whinnied, cows bellowed, rooster crowed and sheep bleated. “Christ! I’ve been teleported to Old McDonald’s farm!” I thought wildly, sitting bolt upright on my skinny mattress. A brief exploration in my “onesies” revealed not only that I had slept through the night but that I had unwittingly set up my tarp just a hedgerow away from the show ground’s animal pens. By mid-morning, the clouds lifted, light sparkled on wet grass, the show grounds heaved with people and animals, the bicyclists set off in a wheeled tide to cheers. After shopping for supplies, I absorbed the holiday spirit and watched South Island Kiwis at play. I called Rosa and let her know what I was doing. “What’s the show like?” she asked. “Incredibly sweet,” I told her. “It’s everything a proper country fair should be." She laughed about my dawn alarm call next to the stockyard. “Oh! I wish I’d been with you!” she cried. “I know. You’d be milking every last ounce of enjoyment from the weekend,” I smiled, imagining her leaning over a fence to watch the bulls from a safe distance. Of course, she’d dress up in gumboots and an anorak to fit in. At times like this, I miss my playful Kiwi wife so much it hurts. "Today will be one to remember," I thought, stepping silently onto the wet grass outside the dark hut. I shouldered my pack and inhaled clean pre-dawn alpine air. Far above me, Mounts Castor and Pollux flamed in the first light of morning sunshine, ethereal and unreachable. My prayers to Huey the Weather God had been answered. Since crossing Gillespie Pass two days earlier, the weather had steadily improved. Reassuringly, a professional guide and two clients would be following behind me on their own transit up and over Waterfall Flat and Rabbit Pass. My fears had evaporated yesterday and a good night's rest last night after the near-sleepless one the night before had energised me. The climb up to Waterfall Flat felt delightful. Sitting by one of the innumerable crystal clear streams spilling from the slopes above, I tucked into a hearty breakfast of oatmeal and coffee fortified with sweet condensed milk. An inquisitive and cheeky kea, the world's only alpine parrot and surely the most intelligent of all birds, fluttered over to play games. However, this was neither the time nor place to linger. The pressure was on. Behind and below me, distant figures approached steadily. It was time to move. The first short section steepened steadily until a rock wall barred further progress. "Christ! They can't be serious!" I thought. Handhold by handhold, foothold by foothold, I groped my way upwards, face pressed tightly against rock, earth and grass, hands and feet groping, the pack pulling backward in answer to gravity's inexorable demand. If I could have used my teeth as a climbing aid, I would have. "Nibbling my way up to Rabbit Pass," I thought. "That's a different technique." Perversely, the higher I climbed, the more confident I felt. Relaxed yet poised, concentrating intensely, I moved into a state of flow and heightened perception, a heady concoction of adrenaline, dopamine and other chemicals. When I reached the final orange marker and gazed in wonder along the upper reaches of the Wilkin River, the air shimmered and colours glowed. "Wow! This is a natural high!" I gazed back down the slope and made out the tiny figures of the guided party. And then came a welcome surprise as a fit 72 year-old stepped around a rock wall. I'd met John four days before when he gave me a short lift to Lake Hawea. A former deer-culler and master bushman, he possessed vast knowledge of NZ's backcountry. Although he'd long since traded in his rifle for a fearsome-looking camera, he still headed for the hills at every opportunity. We grinned, shook hands and waited for the guided party to join us. John and I teamed up. I felt glad for the company. Among his many virtues, John liked to walk in silence so we headed into the rising wind funnelled between the rock walls alone yet together. When we turned to climb the long ridge leading up to Rabbit Pass, 50 knot gusts pulled us toward the black water-worn gorge at our feet. We reached the final obstacle at mid-afternoon. I gazed over the precipice with misgiving. The first twenty metres of damp rock-face and loose grit steepened until it dropped out of sight over a cliff. Forty metres below that, a belt of scree slid down to firmer ground. Feet scrabbling for purchase on loose rock, we slid down to the cliff-top. After sliding out of my pack straps, I reconnoitred. With a dry mouth, I realised just how exposed I was. Turning, heart knocking against my ribs, I pulled myself back with difficulty. Above us, the guide's head appeared on the ridge-line and shouted brief directions into the void. " Go left!" John now took the lead while I put on my pack. "Who put a bloody route through here!" I muttered, looking between my knees for the next tenuous foothold while my fingers tightened on fragile handholds. Ten minutes later, with Rabbit Pass behind us, we watched the clients safely lowered by rope. After waiting for the guide, we slid down the loose scree slopes and onto firm ground. As the adrenaline and elation wore off, the steep descent to the Matukituki River over grass tussocks and down into the boulder-strewn stream-bed left us with bruised and wet feet. John and I shook hands and parted as friends. He would camp near the guided party's bivouac and I would make a final push to Ruth Flat two hours' scramble downstream. The haunting cries of waterfowl sounded across the meadows when I wearily stepped onto them from the river bed. I made a fly camp on a sheltered step of grass. The last of the sun illuminated the glaciated ramparts of the Tartarus Icefall and streaming waterfalls. It had been a day to remember and a long one. I had been walking and climbing for fourteen hours. I lit a small campfire and sipped hot chocolate, absorbing the stillness. The fire crackled and glowing sparks rose upward, miniature shooting stars against a spangled canopy. Deep in Tiritiri O Te Moana, the Southern Alps, I rested in the heart of nature's therapy room.